Historic Salubria is an 18th century (ca. 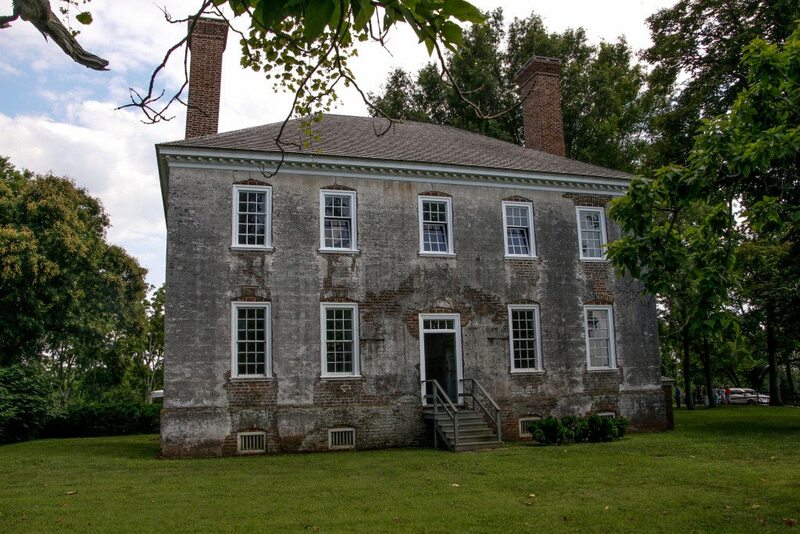 1757) Georgian-style manor house built by the Reverend John Thompson, rector of the Little Fork Church from 1740 to 1772, who married the widow of Lt. Gov. Alexander Spotswood. The house received the name Salubria , Latin for healthful, from a later owner, James Hansbrough, in the early 1800s and has been known by that name since that time. Salubria’s exterior is distinguished by unusually tall, corbel capped chimneys, enclosed at each end of a hip roof. The house has identical front and rear facades and is built of brick laid in Flemish bond. Three sides of the house are stuccoed in a manner simulating cut stone, a popular Greek-revival styling update in the 1850s, though for some reason the east end never received this treatment. The interior of the house effuses character hearkening back to another time. Salubria was placed on the Virginia Historic Landmarks Register in 1969 and on the National Register of Historic Places in 1970. In October 2000, Laura N. Grayson, widow of J. Gordon Grayson, donated Salubria to the Memorial Foundation of the Germanna Colonies in Virginia. Germanna is honored to be entrusted with the stewardship of this property and the history of which it speaks. In 2011, Salubria was damaged in the Mineral Earthquake that struck this region of Virginia. The Germanna Foundation, with extraordinary support from members and donors, and the Virginia Department of Emergency Management, completed earthquake repairs by the end of 2013 and we are continuing our restoration and preservation efforts. While Salubria does not have a schedule of regular open hours for public touring, tours for individuals and small groups are available April through October – by appointment only, please. Larger group tours can also be arranged with advance notice of at least one month. A suggested donation of $10 per person is requested, though there is no admission fee and any donation amount is welcome. To schedule your tour, please call the Foundation at 540-423-1700.